RUSH: Did you hear what happened to Town & Country? Got a big party, Town & Country magazine, big party, invited Monica Lewinsky. And then they didn’t. They also invited Bill Clinton, and somebody said, “Wait a minute! 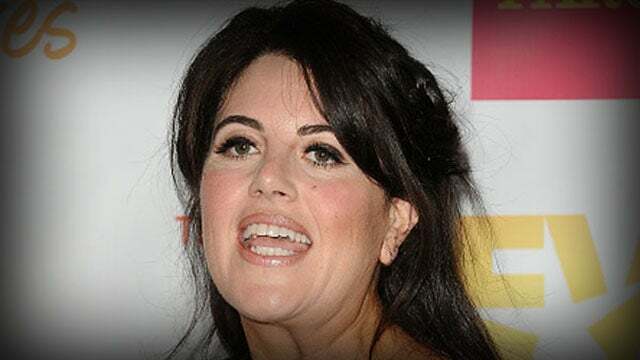 You invited Monica?” “Yeah, we invited her like two weeks ago.” “Well, you gotta rescind it ’cause Clinton’s coming.” So Monica Lewinsky had her invitation to Town & Country party rescinded, and she’s mad about it. She’s gone public. This is why we know, this is how we know. You know all these things is, it’s just another instance where all these liberals get together, and they have like this kooky, this alien Met ball, Met Gala, the Oscars, the Emmys… All of these leftists get together, and they hang around with each other thinking how special and wonderful and elite they are, and all they’re doing is putting walls between them and everybody else in the country. And they’re building these walls and they’re suggesting that they’re so much above and so much more elite. They’re just distancing themselves from so many parts of the country. And it’s all being done on purpose. They just keep doing it, alienating themselves from everybody else — while, I’m sure, telling each other how special and unique and brilliant they are.